Bechstein’s bat (Myotis bechsteinii) is a tree-dwelling species associated with old growth woodland. Fossil records suggest it was once the most common bat species in Britain, but forest clearance and changes in climatic conditions have resulted in major population declines across its range. It is now one of the rarest British bats. 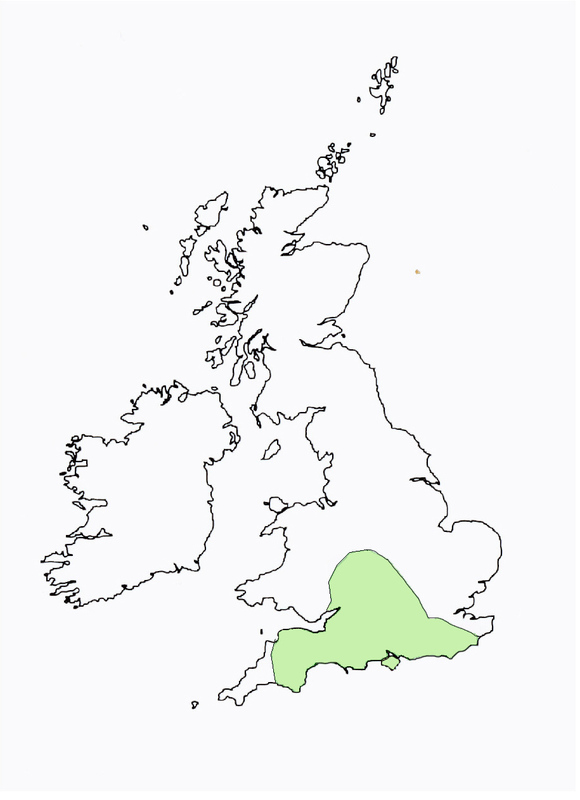 Its core range appears to be centred on southern England from Gloucestershire to Sussex, but it has been found breeding as far north as Herefordshire and Worcestershire. There are also recent records from Kent in the east to Pembrokeshire in the west. A study by the VWT has shown that this species feeds in closed canopy broadleaf woodland with a well-developed understorey often close to water bodies. During the summer females rarely travel more than a kilometre from their day roosts. The VWT carried out the first radio-telemetry studies on the species in Britain during the mid-1990s, to determine the habitat preferences of this species. The study colony was in a bat box scheme in a deciduous lowland woodland in Dorset and the results of the research showed that this species feeds in closed canopy broadleaf woodland with a well-developed understorey often close to water bodies. During the summer females rarely travel more than a kilometre from their day roosts. The same colony has been the subject of a long-term ringing study to establish its colony size, breeding success and colony dynamics. One remarkable bat was born in July 2000 and is still being recorded today, showing that she has reached her fourteenth birthday and has had no fewer than nine pups! The Trust is currently working in collaboration with the University of Exeter researching size, structure and change in the British population using combination of molecular and landscape ecology approaches. Number of young:One born late July to early August. Diet:Crane flies, beetles and moths. Habitat:Tree-dwelling species associated with old growth woodland.